Nice to tweet you, nice to meet you! It's always nice to meet twitter friends in real life and put a face to the name. On Monday I had the pleasure of meeting Chika from Plus My Size. She drove all the way from Manchester, I'd like to say exclusively to meet up with me, but, alas, I think the bright lights of Hull were calling..... HULL I hear you cry? Well ladies let me tell you it's a plus size shoppers dream. The are 3 New Looks each with a generous Inspire range, one of which is exclusively clearance only, bargainariffic! The H&M stocks the plus range, there are 2 Evans, a Yours and all 3 Dorothy Perkins always have plenty of 22's in stock. As if that wasn't enough, on the outskirts of the city there is a clearance shop called the X-Catalgue store who stock lots of ex JD Williams stock, from Simply Be to Marisota. 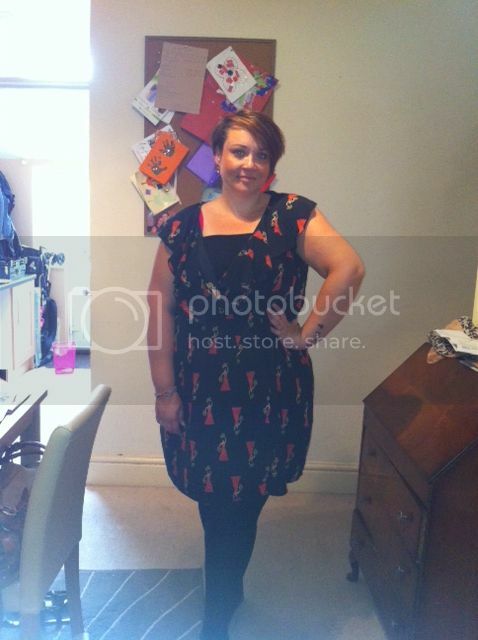 The day before I'd been myself and picked up this lush RubyRocks dress for the bargain price of £6.99 - granted its a size 28, but because of the elastic aged waist and cross over style I think I got away with it! I actually wore this to meet Chika, we had a great couple of hours looking round the shops and even stopped for lunch. I've been struggling to get out of the house of late, but when I have someone to meet or a purpose I find it a bit easier to get out. So thanks Chika, it was a blast! 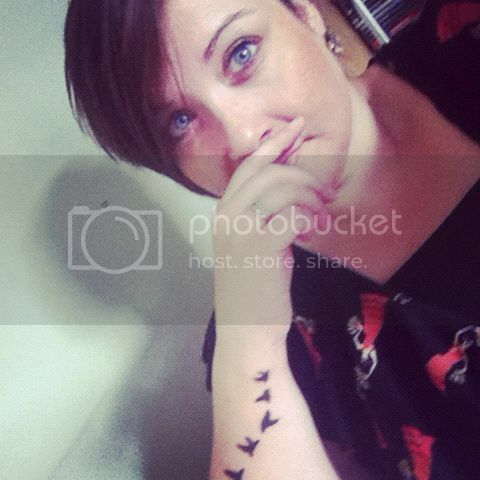 Love your tattoo, and the outfit you wore in this post is lovely!